This is just a “teaser” slide. The complete Four Spiritual Laws in Chinese are found in the link below. Also below, I introduce my translator theologian friend, Xi-Wei Wu. We’ve worked together for about 10 years, and she wrote an explanation of the Gospel from the “ground up,” meaning it is much more contextual. I wrote this one as an illustration, NOT as a Gospel presentation per se. But Xi-Wei wrote a post to communicate the Gospel in Chinese, in a Chinese context. That can be found here in Chinese. 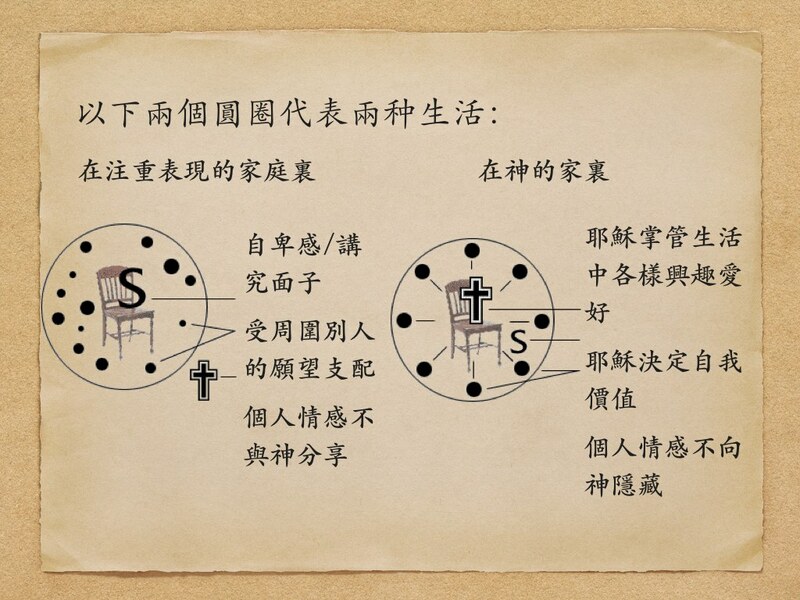 I’ve gotten a surprising number of requests for the 4 Spiritual Laws in Chinese. In my last post, I noted how I never intended for this to be used for evangelism because of the whole “law” motif. Yet, I’m told this presentation perhaps bridges the Asian culture gap better than the “standard” version. All I know is that I continue to get requests for the Chinese version, and I continue to receive various correspondence about people sharing this with their Chinese-reading loved ones. If this is you, feel free to leave a comment. It was easy for me to write this, for much of it is autobiographical. But the Chinese version…how did that come about? If you know me, I don’t read or write Chinese (besides the usual less then 5-stroke characters that many ABCs know, like numbers, small, big, mouth, etc.) In the half dozen times I’ve lived overseas where Mandarin is the dominant language, I could barely scribble (in Chinese characters) a readable address for the taxi and I can I barely survive, buy things, and order food with my “toisan-toned Mandarin.” For those reasons, I must acknowledge the translator, a former colleague of mine, she even invited me to teach a couple sessions at her seminary, a Chinese speaking one. (I had them write papers in Chinese, from which I had to use Google translate to read them!) Xi-Wei Wu has been a faithful sojourner to me and my wife for almost 10 years now. If you compare this Gospel carefully with the English version, there are a few differences. She made it better and more contextual. If you read Chinese (all modern web engines can translate, though woodenly) and are interested in “spiritual prime rib,” go visit her blog here. So here’s the Chinese version, printable as a pdf! I’m assuming that’s more useful than a bunch of slides.